First they collect the garbage in handfuls, then rakes, then a broom, and finally a vacuum. 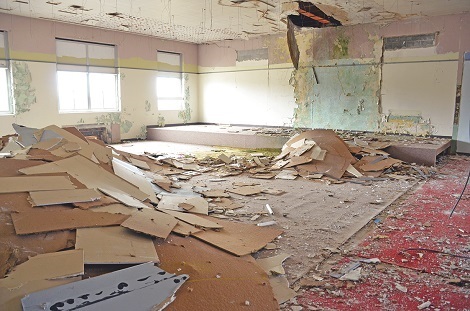 After a vacuum is through, the ugly, or charming, carpet shines through, and you can almost sense the school children’s boredom. 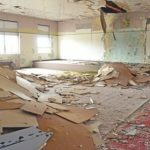 Up and down three floors and a basement, across 60,000 square feet, the primary task left to William Wolter and his crew at the former Brodhead Middle School: cleaning up junk.